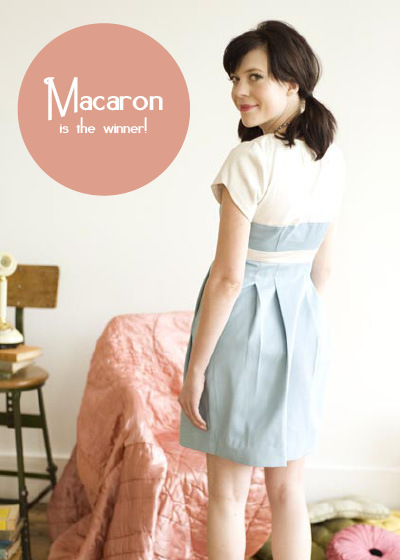 The Macaron dress will be the next pattern we are sewing for Sew Colette 2.0. Be sure to order the pattern before we get started in August. I'm super excited about this one!!! Thank you to everyone who voted! You ladies are on a roll! Are you going to join in??? Unfortunately I am not keen on this one. I am not drawn to the dress over t-shirt look. Any ideas on how to make it look less like this? Hmmm. 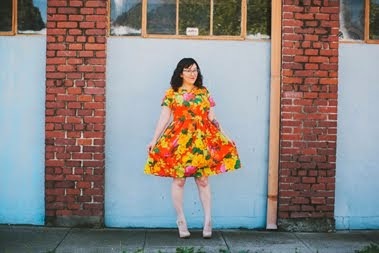 Maybe make the dress with the same fabric instead of contrasting fabrics? If you did that then some piping might be cute along the front. Let me know what you end up doing! I'm really excited for this one, too! I've actually had this pattern for a while, but didn't really feel like I had the skill set to attack it until now. I'm so excited to make this with you ladies! Yay! I'm so excited! I actually have this pattern in my stash and finally have a reason to make it! Hooray!